Is Twitter really worth $11 billion? Twitter to swim among the shark-infested waters of Wall Street? 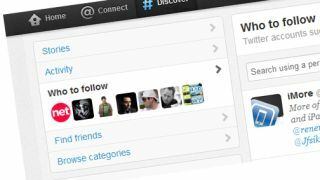 Twitter is reportedly preparing to go public in 2014, with one research firm already placing an $11 billion (UK£6.83, AUD$10.51) valuation on the company. According to the Guardian, financial researchers Greencrest have reached the rough valuation by analysing the 'secondary market' in which shares trade hands privately and unofficially. The firm also said the social network's jump from an $8 billion (UK£4.96, AUD$7.64) valuation in 2011, is partly due to unsubstantiated rumours that Apple may be interested in buying the company. Facebook and Zynga have taken a battering in the stock market, as Wall Street sours slightly on internet properties, yet Twitter is still planning to float when "the company is ready," according to CEO Jack Dorsey. "Twitter is up since the Facebook IPO and is now valued at northward of $11bn," said Greencrest analyst Max Wolf. "This makes sense as growth in users and new monetisation efforts are both yielding fruit and pointing toward a good 2013 for Twitter." Greencrest says Twitter will start preparing for the IPO this year.